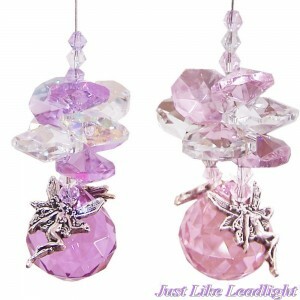 Gorgeous crystal suncatcher fairies. 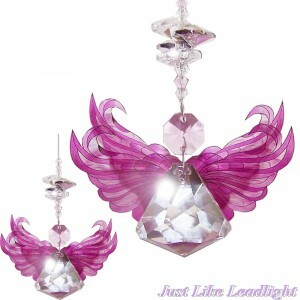 Handcrafted in many different colours and styles. 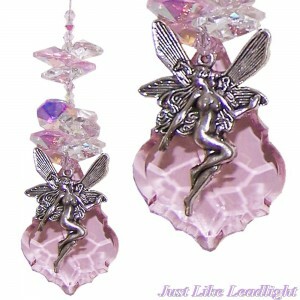 My fairy suncatchers bring dancing rainbows of love to your room when placed in a sunny window. 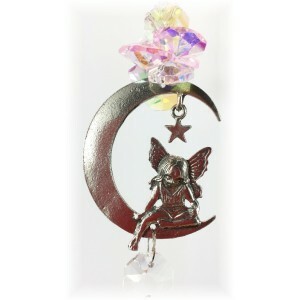 Fairy suncacther #11 Made with a very cute pewter fairy sitting on a moon with a star. This suncat.. 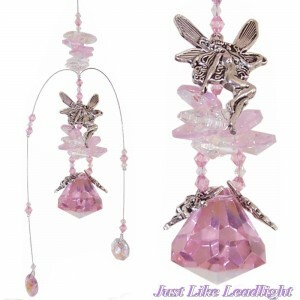 Here is a beautiful long size fairy suncatcher. 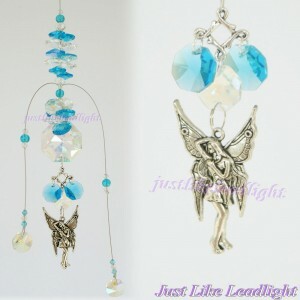 extra long length approx 25cm. 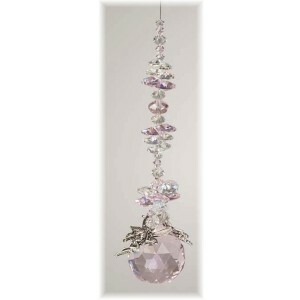 Made with a large 40m..
She hangs approx 13cm long, has a 50mm crystal starflake with pretty fairy charm. 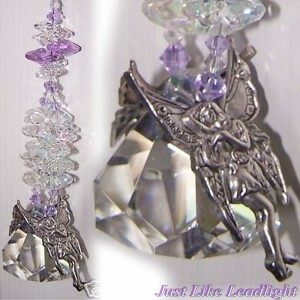 she is topp..
She hangs approx 12-13cm long, has a 20mm crystal ball with a 2 cute little fairy charms. 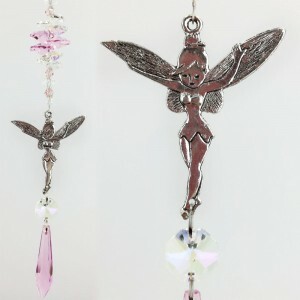 she is to..
Made with a 30mm diamond crystal ball and new pretty pink double layered fairy wings. 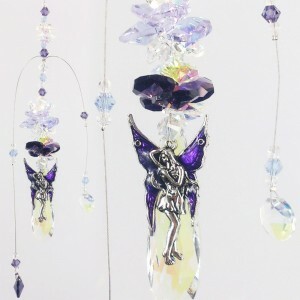 She has a p.. 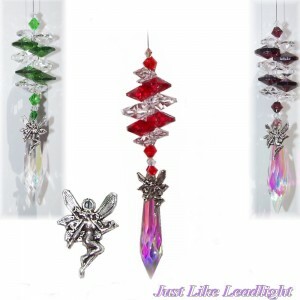 This new fairy suncatcher has a large 30mm Diamond shape octagon crystal and a combination of ..
She hangs approx 26cm long, has a large 30mm pink crystal diamond ball with 2 pretty fairy pendants ..
She hangs approx 26cm -30cm long, has a large 40mm Ab diamond crystal ball with 2 pretty fairy..
Fairy Tinkerbell suncatcher (copyright 2014 fairywings'n'butterflythings all rights reserved) Th..
Fairy drop suncatcher (copyright 2014 fairywings'n'butterflythings all rights reserved) This ite..
FAIRY ICICLE SUNCATCHERS - CHOOSE 5 COLOURS Please use ebay contact and tell me the colours you wou..